While each organization is different, you can learn about the process of becoming a caregiver for your parent at Homecare Powered by AUAF. Are There Rules Against Who Can Become a Caregiver for Their Parent? There are situations where you may not be able to become a formal caregiver for your parent. For example, this is if you have power of attorney for your parent. Another case would be if you are an authorized representative for that parent. This is not an exhaustive list, but an example of two common reasons you can’t formally become a caregiver. To initially start the process of becoming a caregiver for your parent, you will come in for an initial interview at AUAF. The location and hours of Homecare Powered by AUAF can be found on our website. If you are cleared throughout the interview process, you will be required to fill out an application in person at AUAF. It’s in this on-boarding process where you will be asked if you have a client. Hence, this would be where your interest of becoming a caregiver for your parent would be made known. Once your application had been approved, you will need to bring in a set of documents. These include: proof of citizenship, SSN, a valid driver’s license (or state ID), and your high school or college diploma. You will then be required to have a background check. Once you have been hired, you will require training and orientation. In the case that you have been a caregiver with another organization, you may not require training, only an orientation. This is true when you have been a caregiver in the past year and still retain your training certificate. But, in the case that you are a new caregiver, you will have to complete 24 hours of training before providing any service to a client. In the case that you are a registered RN or CNA you will again not be required to complete training, only a mandatory orientation. Once all initial steps are completed, you will be ready to provide caregiver services to your parent. 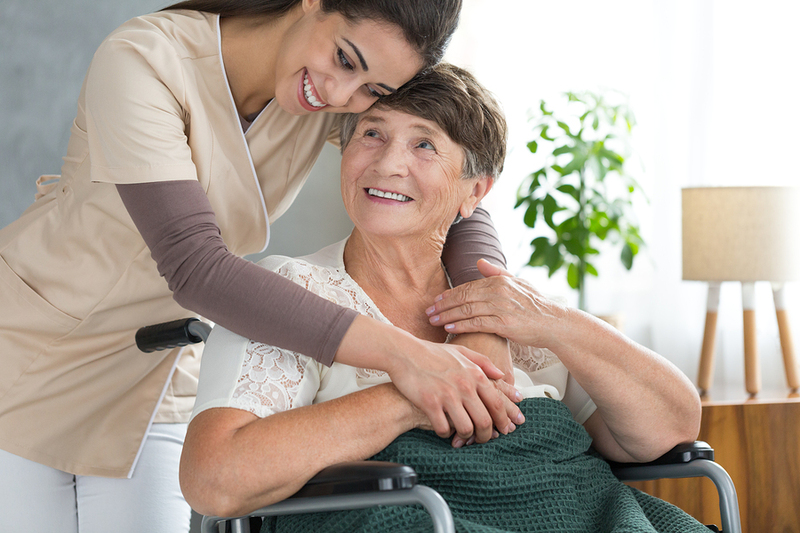 It will be necessary for your parent or loved one to have gone through the steps of becoming a home care aide client. The approval of your parent becoming a recipient of home care services is determined by an organization outside of Homecare Powered by AUAF. If you have any questions for us at Homecare Powered by AUAF, give us a call at 877.721.6710.